Our 2019 VHS series out at The Paramount Room on Film Row is steamrolling right along! Welcome to BLOCKBUSTED VIDEO! Watching this neutered down version of one of the 80's greatest action heroes is like watching your dad get beat up by the school bully, but hey ROBOT NINJAS! I would recommend steeling yourself for this by watching this first two films so when the darkness begins, you can warm yourself with the happy memories of better times. So get ready cause this movie is a dumpster fire in the best way! "YOU MAY WANT TO CALL THE FIRE DEPARTMENT!" 5-09-19 - VHSANDCHILL PRESENTS 'VHS GRINDHOUSE' @ ELK VALLEY BREWERY! LIVE! on the Plaza is the Plaza District's free & monthly artwalk featuring art shows, live entertainment, great food and local shopping. For this month's LIVE, 19th annual deadCenter Film Festival is taking over! 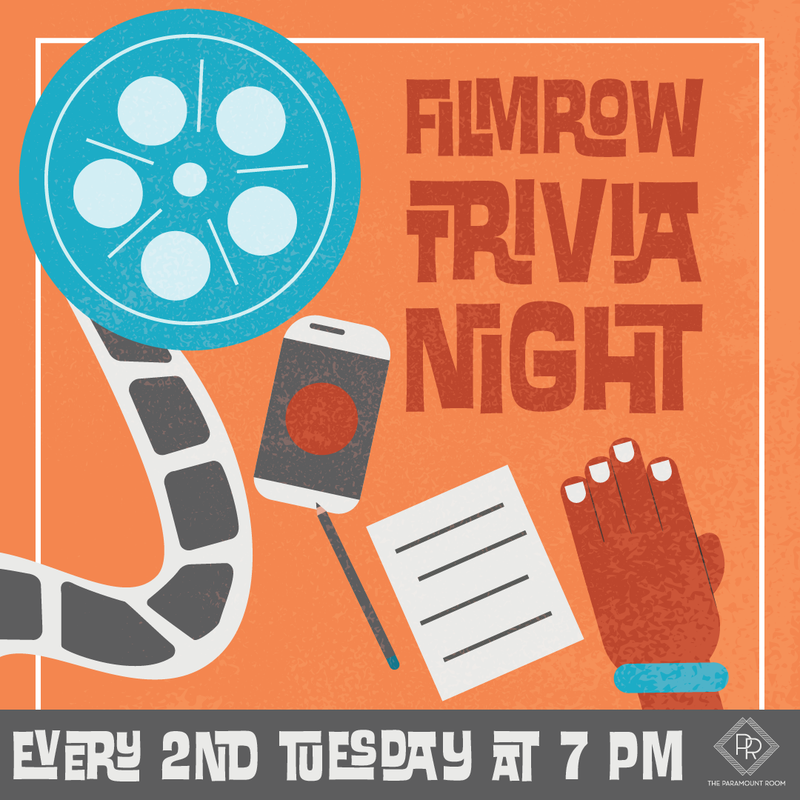 Bring your film knowledge and get ready to show everyone that those "marathons" have paid off! 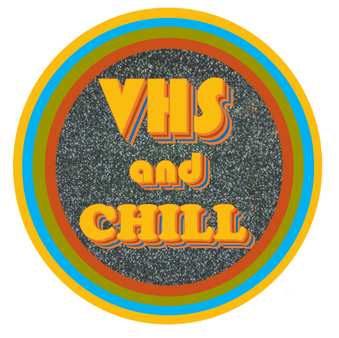 Hosted by Brian Pelts and Sean Peel from VHS and CHILL! Truck driver Jack Burton is in over his head! With his friend Wang Chi, lawyer Gracie Law, and a not-so-simple bus driver named Egg Shen, they go toe to toe with a powerful sorcerer named Lo Pan and embark in a great adventure in the underground of Chinatown, where they face a world of magicians and magic, monsters and martial arts fighters! 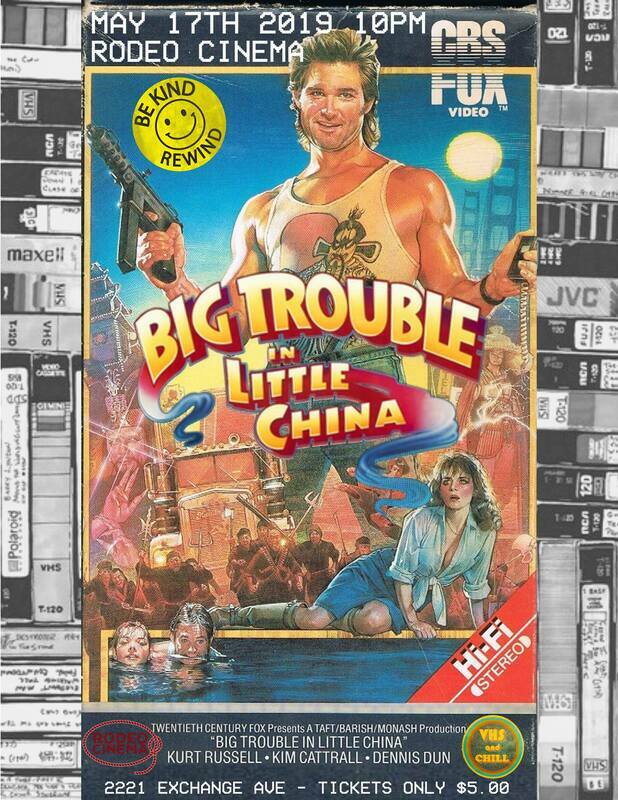 First 20 people in get a one of kind ‘Big Trouble in Little China’ button! More fun surprises to come! This Screening will be Friday, May 17th at 10pm @ Rodeo Cinema! In early 2016 it all started with the dream of having an old school TV wall, the kind we all saw in our favorite 80's and 90's flicks. After a few trips to some local thrifts stores, I had more than enough old TVs and VCRs. It was about this time I came into a collection of a few thousand VHS tapes and not long after VHSANDCHILL nights were born. 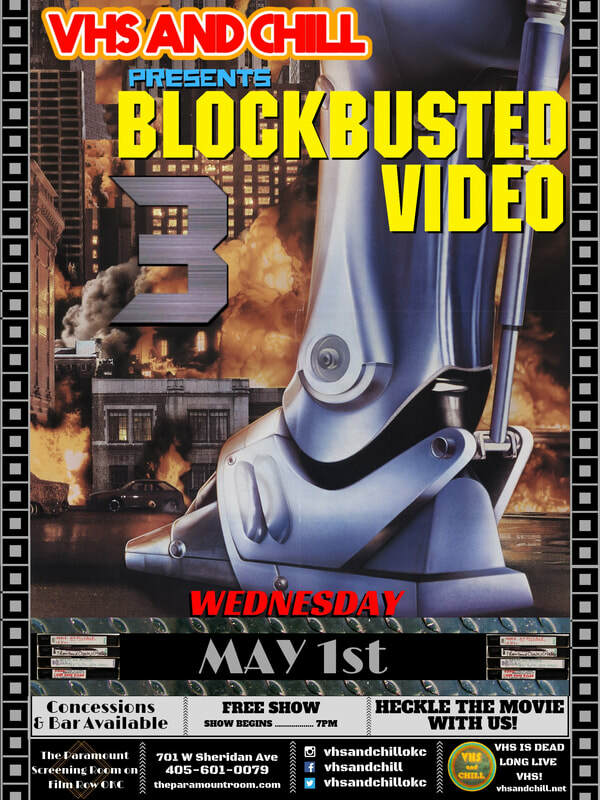 Every month or so we started showings of classic 80's and 90's movies. As these showings became more popular we began doing some theme showings and marathons. We enjoy watching these showings bring in people from every age group and all walks of life. VHS is dead. Long live VHS!